Not long ago I had the opportunity to represent the warrior-run non-profit One Mind for Research at a Hollywood Telethon to raise money for Veteran charities. My role in the production was a live, 90-second interview on stage with actor and host Alan Alda. We talked very briefly about my experience as a wounded warrior with a Traumatic Brain Injury (TBI) and a Post-Traumatic Stress Disorder (PTSD). Mr. Alda asked me: what did I expect when I returned home from a combat tour with TBI and PTSI? Perhaps because I was a little intimidated by the Hollywood venue, the big stars, and the brief time allotted, I didn’t deliver the message I would have liked, so I’d like to share with you now what I should have said then. Actor Alan Alda played the irreverent trauma surgeon Hawkeye Pierce in the long-running television comedy MASH. 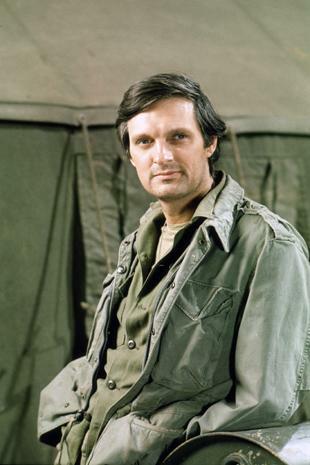 Alan Alda played the iconic character Hawkeye Pierce in the long-running television series MASH. Alda’s character was an irreverent army doctor serving in a forward Mobile Army Surgical Hospital (or MASH) during the Korean War. The opening credits of every episode included footage of medical evacuation helicopters bringing in a load of wounded warriors from the front. Amidst the pranks and comedy, MASH did a good job of telling the story of what happens once those helicopters landed. I would like to tell you about what happens before those helicopters land. Two “laws” govern that space. The first is the law of the “Golden Hour.” We believe that if we can get a seriously wounded comrade to the MASH alive and within one hour, then our buddy will make it. In the show, sometimes soldiers didn’t survive after arriving at the MASH and that is also true today, although due to better medical tools the survival rate is much higher today than during the Korean War. As warriors, we can’t control what happens in the MASH. But our responsibility is to get the wounded to the helicopter on time. When one of us is hit, every all can feel the timer begin its count down towards the end of the “Golden Hour.” They are the most unforgiving of minutes. 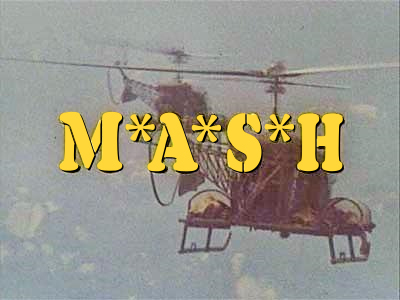 The title screen and opening credits of MASH featured a pair of H-13 medical evacuation helicopters transporting wounded soldiers from the battlefield to the surgical hospital. Note the wounded soldiers on the litters placed on sponsons above each landing skid. The second law is recorded in a line in the Warriors Creed: “I Will Never Leave a Fallen Comrade.” To some this may be just another phrase from the canon of military tradition, but among warriors it is a sacred covenant that we make with each other that forms the foundation of a unique and special honor-bond. Units that have this bond win. Units that do not, don’t. As a student of the profession of arms, I had read and heard hundreds of accounts of these laws in combat. Many of these tales came accessorized with citations for valor like bronze and silver stars, even Medals of Honor. Remarkably, a large number did not simply because heroism is a daily duty and often goes unrecognized beyond the range of the last rifle round fired. I would like to share how I learned about the persistent reality of these laws for myself. My education began as a young lieutenant leading one of the reconnaissance platoons of the Brigade Reconnaissance Troop in the First Brigade (Ready First!) of the 1st Armor Division during a training rotation at Combat Maneuver Training Center (now the Joint Multinational Readiness Center) near Hohenfels, Germany. The brigade had tasked my platoon to conduct a recon and surveillance mission deep into Opposing Force territory. The mission was only part of a training exercise in the good ole’ pre-war days when a faithful warrior could look forward to a painless simulated death that would bring the Valhallan pleasures of a MRE and a nap before administratively resurrecting to roll out again in few hours. Levity aside, I was concerned about the level of risk the mission would have had we been executing in real combat conditions. If any of my troopers were wounded, it would be nearly impossible to evacuate them to a MASH. I shared my concerns with my troop commander, Captain Jerry Turner. CPT Turner admitted that he had shared the same concerns with his boss, the brigade commander, then-Colonel Michael Tucker. Jerry Turner and Michael Tucker were both men I had learned to trust and respect. They cared deeply about their soldiers. In our middle-of-the-night discussion across a humvee hood in the dark German woods, CPT Turned shared with me the promise COL Tucker had made to us: if we got into trouble, he would roll the entire brigade– some 150 Abrams tanks and Bradley Fighting Vehicles and thousands of soldiers– to come and get us. That mission was a great success and the platoon contributed to the Brigade crushing the opposing force in simulated combat …and I “died” towards the end of the fight with just enough time left to eat an MRE and take a nap. 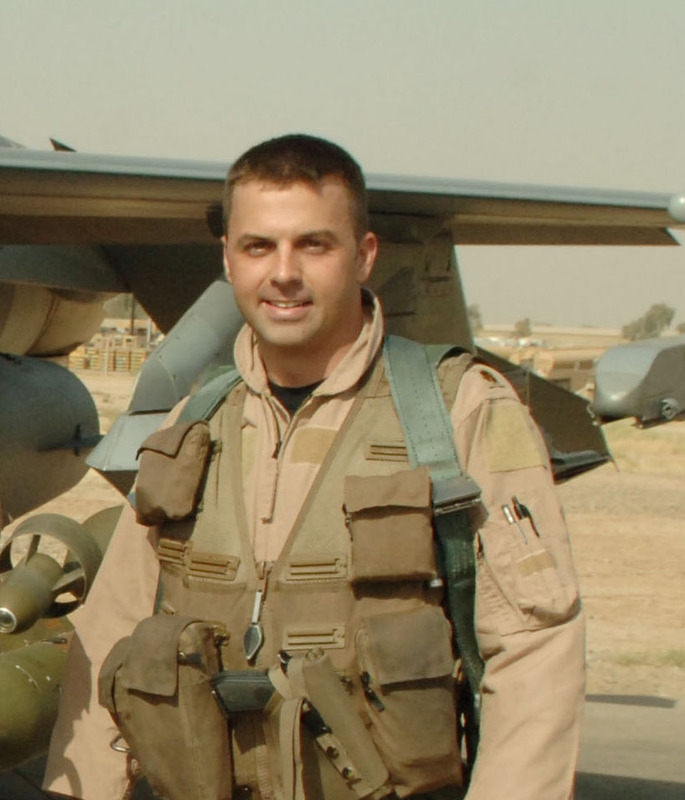 When a small team of Army special operations soldiers was forced down in their helicopter during a night-time raid into an al Qaeda- controlled portion of Anbar province in Iraq, Air Force F-16 pilot Major Troy Gilbert was on station to provide emergency close air support. As a large al Qaeda force was closing with the isolated Special Forces team, Gilbert brought his F-16 to tree-top level to strafe the insurgent force with his aircraft’s cannon- an extremely high-risk maneuver, but one that Gilbert felt he needed to make to save the US soldiers on the ground. In the darkness, he lost too much altitude during his strafing run and his plane crashed. COL Tucker’s promise remained tucked away in the recesses of my memory until the end of November 2006. I was about to take command of a Stryker-equipped Cavalry Troop in 3rd Brigade (Arrowhead! ), 2nd Infantry Division in Iraq. We were in the process of moving from Tal A’far to Baghdad. While we were on the march, an Air Force F-16 providing close support to an Army special forces unit securing a downed helicopter in a sparsely populated section of the nearby Anbar province crashed during a low-level night strafing attack. The pilot was unaccounted for and possibly still alive. Just as COL Tucker had promised, we rolled an entire brigade (the Stryker infantry battalion I was attached to, an Airborne infantry battalion and a heavy cavalry squadron) to find and rescue him. Thousands of soldiers to save one. Unrested, the battalion paused only enough to unload baggage and take on fuel before heading out along roads so infested with IEDs that US forces had up to that time effectively abandoned the road network and relied almost solely on helicopter air assaults. We spent three days scouring the area. 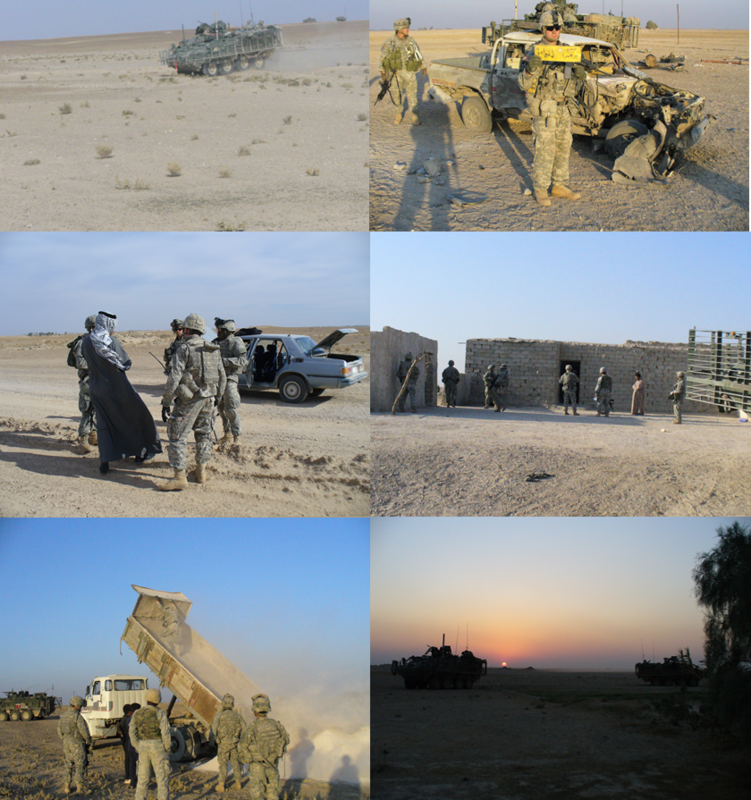 My Troop searched every structure and vehicle within a hundred-square kilometers. We even forced the dump trucks traveling from a nearby quarry to dump their loads to ensure no body could be concealed in them. In the end we were able to confirm that the pilot had died in the crash. His name was Major Troy Gilbert. He left behind a wife and five children. We didn’t know that at the time. All that mattered was that he was one of us and we were going to get him back, one way or the other. It was not the ending we had wanted, but we had fulfilled our covenant to each other that we would never leave a fallen comrade behind. We paid a price to do so. During the mission one of our Strykers hit an IED. Specialist Billy Farris was killed and several others were seriously wounded. Inspired by his stepfather who had served in a Ranger Company in Vietnam, Billy had joined the Army immediately after graduating from high school in Phoenix, Arizona. 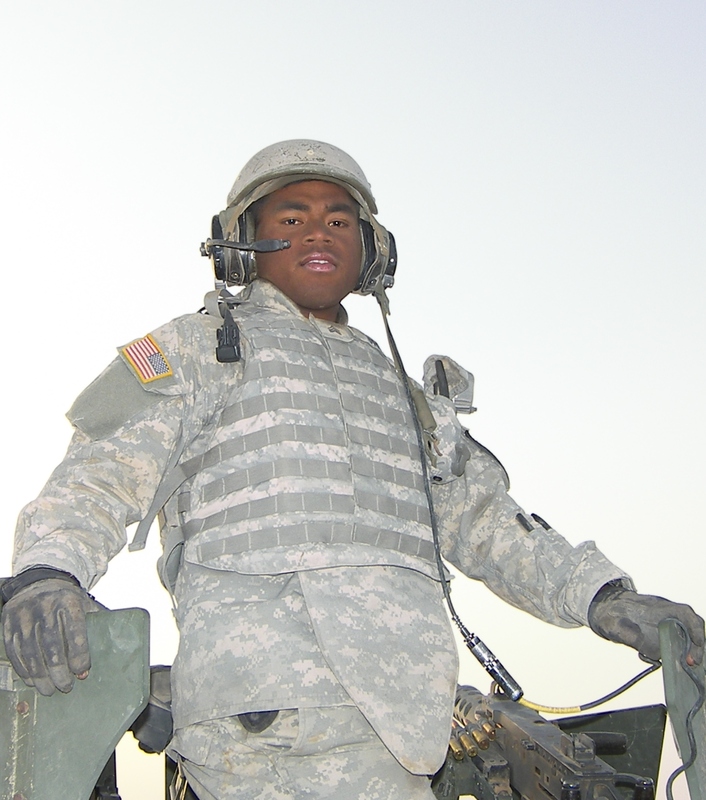 His consistently superior performance had earned him a coveted position in the battalion scout platoon, and he had been recently honored as the Soldier of the Quarter. Billy also left behind a young son. To a bureaucrat, who measures value with a financial ledger, the mission was a waste of resources. To a warrior, who understands both the true value and the true cost of the honor-bond, the mission was a necessary sacrifice. Members of Bronco Troop, 1-14 Cavalry, search for Major Troy Gilbert in Anbar Province Iraq, November 2006. A few months later it was my turn to make and keep that promise. My Troop had just redeployed to the city of Baqubah, at that time the center and proclaimed capital of al Qaeda in Iraq. During a fiercely contested mission to search for weapons caches in a suburb of the city, al Qaeda ambushed one of my scout platoons and the platoon of combat engineers clearing the attack route through the city. At a narrow bend in the road, an IED built into the exterior wall of house exploded and disabled the lead engineer vehicle. As the platoon moved to recover the damaged vehicle, a large force of insurgents engaged them with RPGs, machine guns and AK-47s in the fiercest ambush we had experienced. Five of the combat engineers were wounded, some of them severely. The countdown toward the Golden Hour had begun. The thundering explosions and rattle of automatic weapons fire brought silence to the Troop radio net as the routine reporting and chit chat between crews disappeared to clear the net for the inevitable contact report. The scout platoon leader was experienced, aggressive and cool-headed but his report was not good. The two platoons were surrounded and out-numbered. They had casualties, some seriously wounded. The outcome was in doubt. My quick fragmentary order to the rest of the Troop was redundant before it was issued. Everyone had heard the report. Everyone knew what had to be done. Everyone was already moving. As we reached the beleaguered platoons, my First Sergeant, who had already earned a Purple Heart earlier in the tour, moved his armored medical evacuation vehicle into the kill zone. In a scene worthy of a Hollywood blockbuster, the scout platoon leader, Captain Aaron Tiffany, with his vehicle’s gunner, Sergeant Josiwo Uruo, and the platoons’ trusted Iraqi interpreter, Monroe, ran under heavy fire to the severely wounded soldiers and dragged them to the waiting evacuation vehicle. The Medical Evacuation Vehicle, now escorted by a pair of Strykers, raced to the helicopter landing zone fifteen kilometers away. Medical evacuation helicopters had been called and were enroute. Inside the armored, eight-wheeled Stryker ambulance one of the wounded soldier’s heart stopped beating. The young medic in the vehicle, SPC Brian Mikalanis, beat the soldier’s heart for him, almost forcing him to live through the precious minutes to the door of the waiting helicopters. Before the Golden Hour ticked away they reached the medevac helicopters with five wounded soldiers still alive. A few minutes later the pair of helicopters landed at a real-life MASH where a real-life Hawkeye Pierce finished saving those soldiers’ lives. Sergeant Josiwo Uruo willing exposed himself to heavy enemy fire that had already wounded five soldiers to rescue his wounded comrades. Bronco Troopers had fulfilled their covenant. We had come for our fallen comrades. But again, not without a price. All five of the wounded combat engineers made it home alive, but Sergeant Josiwo Uruo, a courageous young man from Guam with an ubiquitous grin, did not. So to answer your question, Mr. Alda, when I returned home from Iraq as a wounded warrior with TBI and PTSD, I expected to be treated with the same commitment and urgency by the medical providers at home in the Departments of Defense and Veterans Affairs that we expected from each other in any and all combat zones. Unfortunately, my expectations and the expectations of thousands of other wounded soldiers and veterans like me have not been met. They have not been met because the organizations responsible for caring for our wounded warriors not only do not share, but likely do not even comprehend, the honor-bond between warriors. Their creeds are written on their walls, not in their hearts. This reality was brought to public attention in 2007 when journalists revealed the terrible living conditions and treatment being inflicted on Army wounded warriors by ambivalent Army Medical Corps bureaucrats– many of them superficial soldiers covered in warriors’ uniforms with hearts concealed beneath the camouflage fabric but bereft of any warrior honor-bond. Army leaders found the organizational ethos of the medical corps so antagonistic towards the warrior values espoused by the Army’s own creed that they made the unprecedented decision to bring in a combat arms officer – a warrior – to fix the problem. They brought in my old commander Mike Tucker, by then a major general, to take charge of and fix Walter Reed. I suspect Tucker knew as much about hospital administration as I do, which is very little. But he knew what he had taught me a few years earlier- that warriors do not leave their fallen comrades behind.